Introduction Video (90-seconds) - click here - Welcome ! ODOR TRACK'R™ is a member subscription, web-based application electronic repository for all of your odor data. 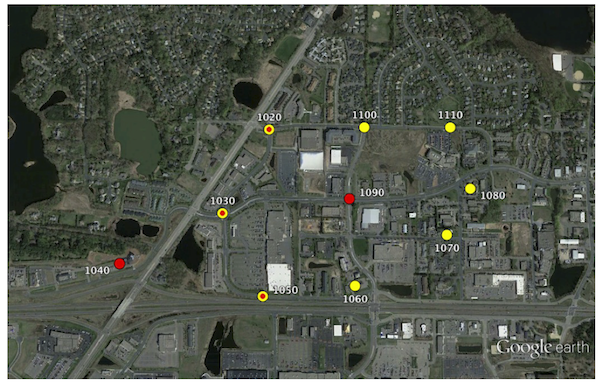 ODOR TRACK'R ™ database stores your odor inspection & odor complaint data and graphically displays your odor data on Google Earth® and Google Maps®. 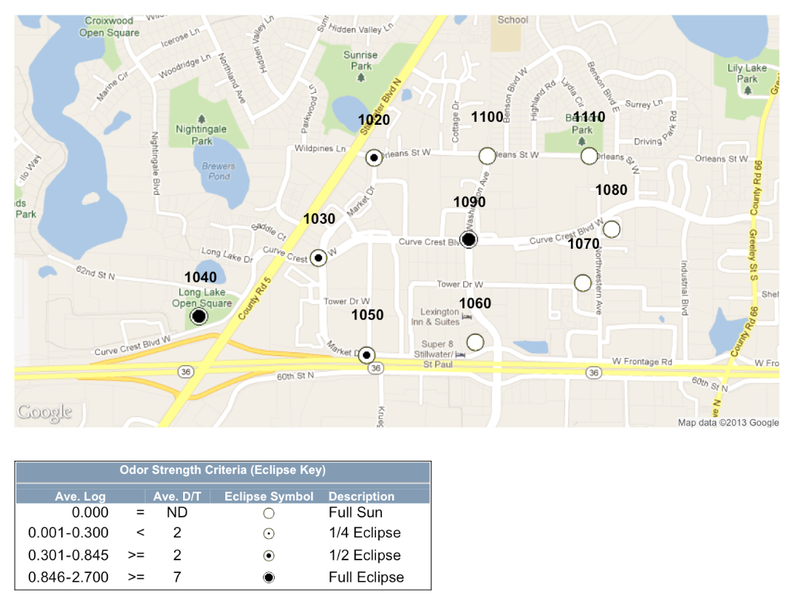 Odor Eclipse Google Map image example. Odor-Rose Google Earth image example. ODOR TRACK'R™ permanently stores your odor inspection and odor complaint data, such as Date/Time of each inspection; location code numbers, descriptions, and GPS data; odor strength as D/T from your Nasal Ranger, butanol odor intensity, or word scale intensity; odor descriptors; chemical concentration measurements; and meteorological data (temperature, humidity, barometric pressure, wind direction, wind speed, precipitation, and sky cover). The Problem: Obnoxious or bothersome odors, some of which can (may) be harmful, have caused various groups such as municipalities, private parties, facilities, sewer districts, and other governmental agencies and animal or agricultural related businesses to become concerned with the extent and potential effects of these odors and what can be done to eliminate them or at least minimize their effect. The Solution: ODOR TRACK'R™ provides the concerned party a visual display of the pattern of odorous air with respect to a selected or designated site so that it’s effect can be determined and if corrective action is needed and what corrective action should be taken. 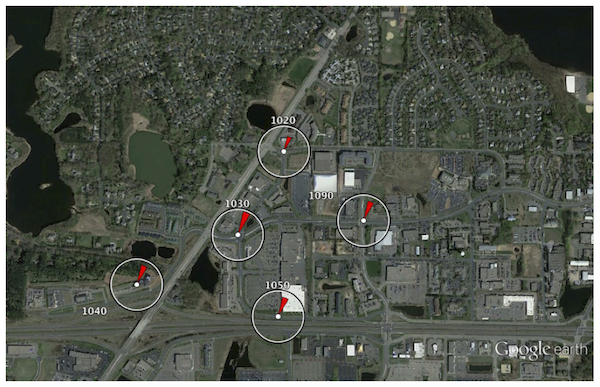 ODOR TRACK'R™ maps odor hot spots around a facility or in a community. 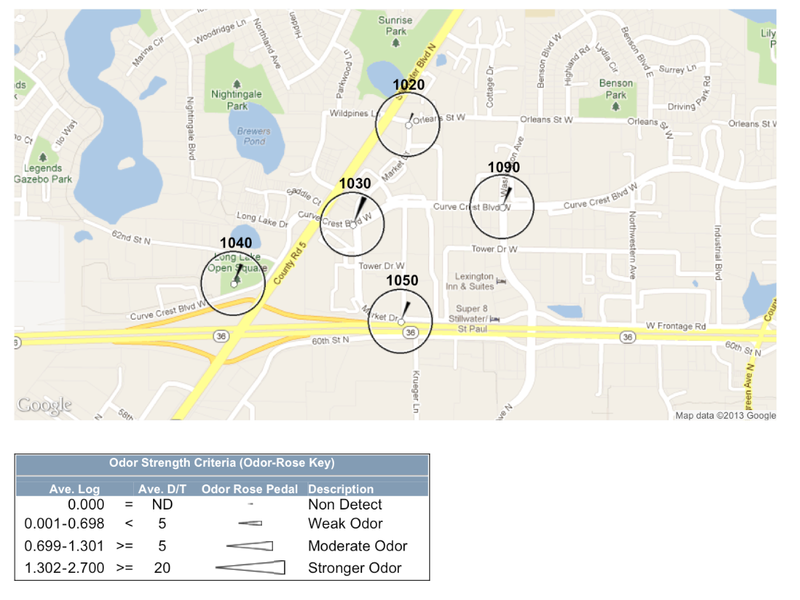 All stakeholders can share the visual graphic data and see odors clearly.